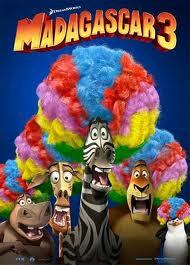 As you know, Madagascar 3 hits theaters June 8th! Want to get a deal on your movie tickets? Buy any of the movies listed here between May 27, 2012 and June 23, 2012 and receive a promotional code which you can redeem for a Hollywood Movie Money® certificate valid for up to $8.00 to see the movie Madagascar 3: Europe’s Most Wanted. Certificate is valid for one Kid’s movie ticket from 6/8/2012 – 8/5/2012 at participating theaters.